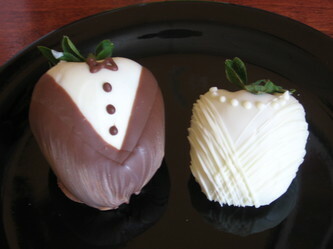 Bride and Groom Strawberries...These delicious berries can be a very unique accent at your wedding. 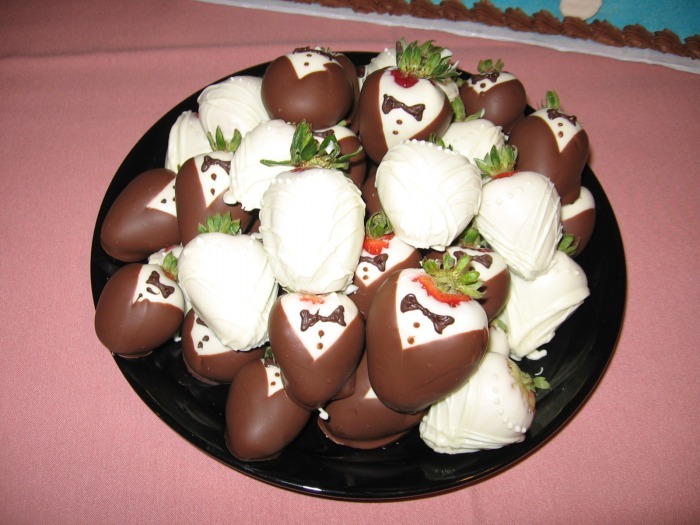 Bride and Groom Berries are $20.00 per dozen. Regular chocolate covered strawberries are also available and can be customized in your wedding colors. 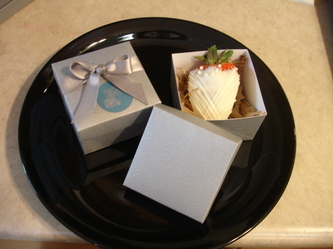 Regular chocolate covered strawberries are $15.00 per dozen. (Prices are subject to change according to market price). Boxed strawberries are an additional $8.00 per dozen.